In just a few weeks, Tesla will begin mass production on the Model 3, the company’s highly anticipated mass market EV. With a entry-level sticker price of just $35,000, the Model 3 will be Tesla’s most affordable vehicle yet and will help hasten the adoption of electric vehicles in the mainstream. While we already know a lot about the Model 3, there are many details Tesla has yet to divulge. For instance, just last week a photo of a Model 3 with a wooden trim interior surfaced online, a design option Tesla has yet to confirm will be available to interested Model 3 owners. As it stands now, Tesla is planning to hold a special Model 3 event in July where it will reveal the final shipping version of the car along with additional details regarding customization options. 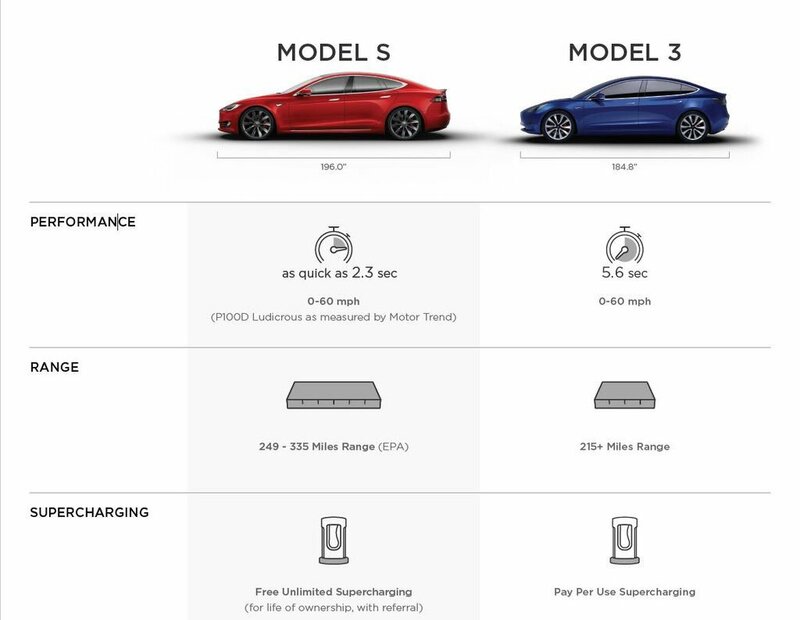 In the interim, Tesla this week released a Model S vs Model 3 comparison chart which provides us with some new details regarding the features the Model 3 will bring to the table. Originally brought to light by the Model 3 Owners Club twitter account, we learn that the Model 3 will sport a 0-60 MPH time of 5.6 seconds, and a minimum range of 215 miles. As previously announced, Tesla confirmed that Model 3 owners will not enjoy unlimited access to Tesla’s nationwide network of Supercharging stations. Instead, access will be available on a pay-per-use basis. 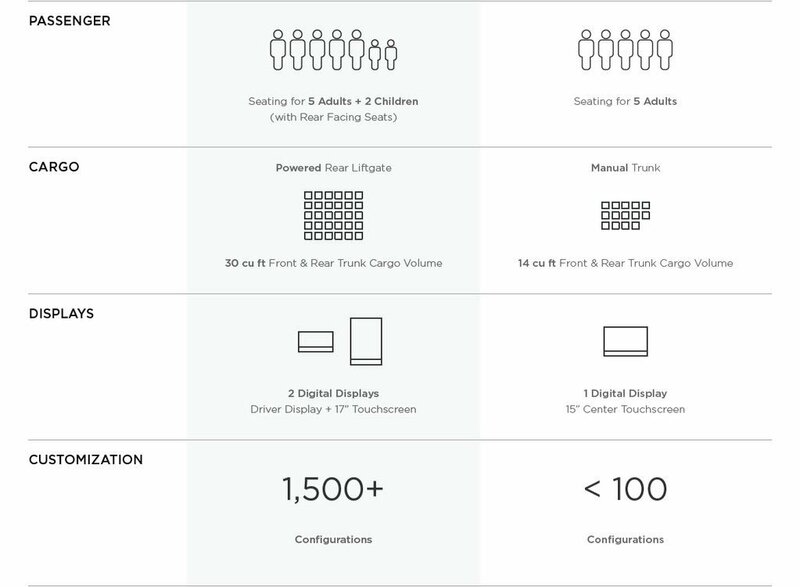 The full chart can be seen below. 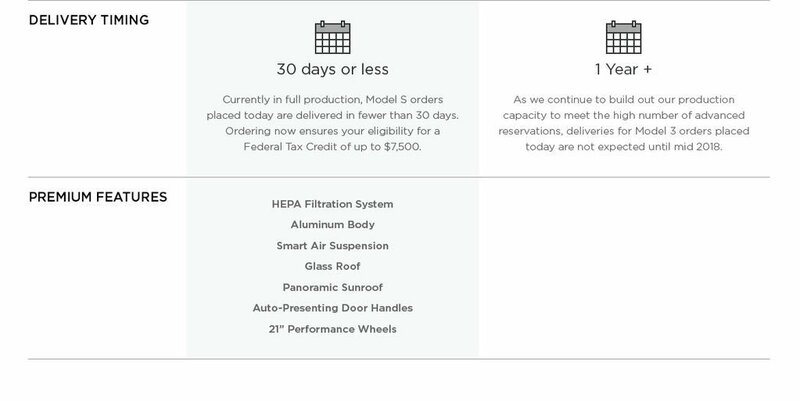 As a final note, it’s worth noting that the Model 3 will have less configuration options available, a decision which should help streamline the production process. All in all, this is a smart move given Tesla’s ambitious Model 3 production schedule, not to mention the immense number of outstanding Model 3 reservations on the books. While Tesla hasn’t issued an up-to-date tally count, it’s believed that the cumulative number of Model 3 reservations is currently somewhere in the 400,000 range.